Sandy Alomar explains the finer points to Kobe Hyland (Calgary, Alta.) Photo: Michele Prata. Day 2 of the Tournament 12 had a busy lineup of six games at Rogers Centre. There were many standouts from Tuesday, many of whom hopefully caught the attention of scouts in attendance. The starting pitcher of Atlantic-Maroon, Blake Flinn (Metro Mudcats), pitched three scoreless innings with two walks and two strikeouts. Garrett Nicholson (Vauxhall Baseball) came in relief for Flinn. Nicholson threw two innings and gave up six runs, although only one run was earned. Prairies-Purple managed to capitalize on six errors by Atlantic-Maroon, scoring eight runs on only five hits. Nicholson gave up two hits, two walks and struck out one. Jaden Griffin (Tri-County Rangers) pitched the seventh inning for Atlantic-Maroon. Prairies-Purple collected two runs (both earned) off of Griffin on one hit. Griffin managed to strike out three batters in his one inning of work. Atlantic-Maroon’s leadoff hitter and left fielder, Dominick Tardif (Metro Mudcats), went 2-for-3 with a stolen base and one run scored. 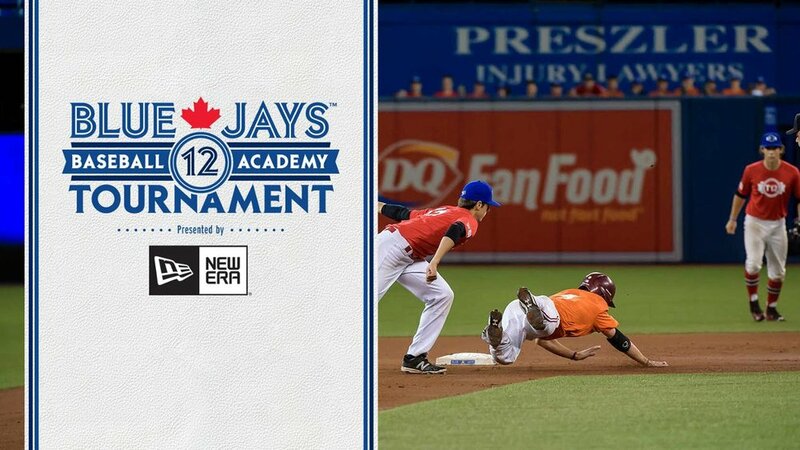 Atlantic-Maroon shortstop Declan Buckle (Team New Brunswick) went 2-for-3 with one RBI. Prairies-Purple starting pitcher Carson Perkins (Vauxhall Academy) tossed five innings, while surrendering only one earned run on four hits. Perkins did not give up any walks to Atlantic-Maroon, and he struck out one batter. Left-handed pitcher Brody Frerichs (Muenster Red Sox) came in to relieve Perkins in the sixth inning. Frerichs threw two innings, gave up one hit and collected three strikeouts. 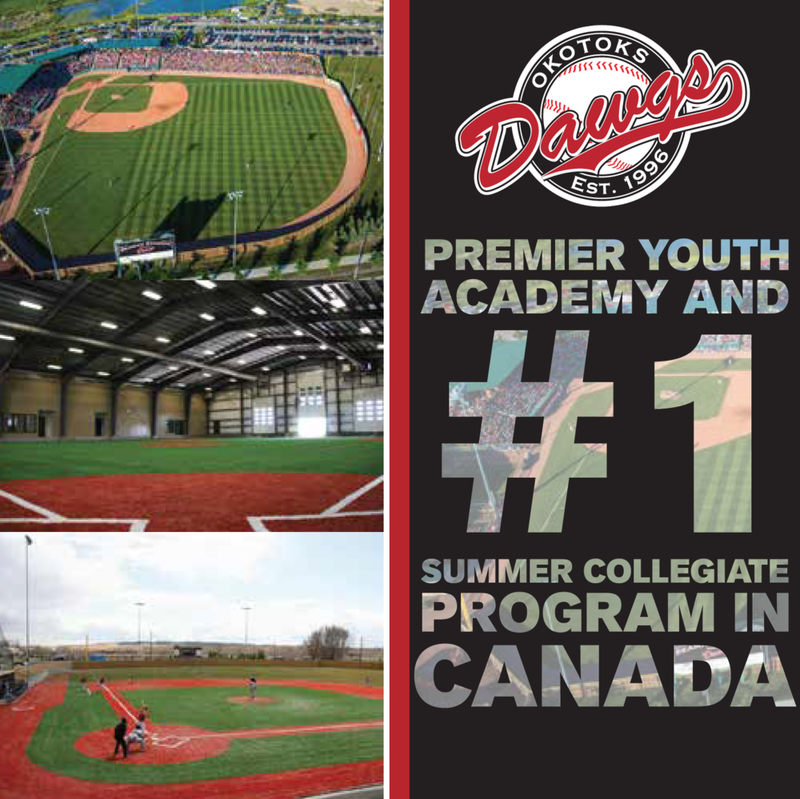 Prairies-Purple third baseman Brett Esau (Okotoks Dawgs) went 3-for-4 with three RBIs and one run scored. Since all at-bats start with a 1-1 count in the tournament, Ward urged the pitchers to understand the importance of every moment. After seven well-fought innings, the battle between Ontario-Black and Alberta-Red ended in a 2-2 tie -- all four runs were scored in the first four innings of the contest. Both teams used two pitchers each to make it through seven innings of play. Ontario-Black starting pitcher Nick Trogrlic-Iverson (Fieldhouse Pirates) pitched three innings, surrendering two earned runs on three hits and three walks, while striking out five. In relief was Jordan Balazovic (Ontario Blue Jays), who pitched four scoreless innings. Alberta-Red only managed to get two hits off of Balazovic, who struck out an impressive seven hitters. Ontario-Black shortstop Ryan Kula (Ontario Blue Jays) had an RBI triple in the top of the fourth inning. Alberta-Red starting pitcher Nick Cardinal (Okotoks Dawgs) threw 3 2/3 innings, giving up two earned runs on two hits. Cardinal walked four Ontario-Black batters, while striking out five. Following Cardinal out of the bullpen was Quentin Kopjar (Okotoks Dawgs), who pitched 3 1/3 scoreless innings with two walks and two strikeouts. First baseman Soren Graversen went 2-for-4 with a double that drove in both runs for Alberta-Red. George Bell, a member of the Blue Jays alumni coaching staff and former American League MVP winner, described Graversen as a hitter with “quick hands”. Bell said that Graversen “battled with the breaking ball… and hit the double down the [right-field] line with the fastball.” Bell believes that Graversen has a “good future” ahead of him. The rising stars team of Futures-Navy managed to blow out the Atlantic-Maroon team impressively, 7-1. Futures-Navy pitchers Jack DeCooman (North Shore Twins), Ben Abram (Ontario Terriers), Jake English (Great Lake Canadians) and Harley Gollert (Ontario Blue Jays) combined for an impressive pitching effort. Futures-Navy first baseman Michael Stovman (Langley Blaze) had an incredible game at the plate. Stovman went 3-for-4 with an RBI double and an RBI single. Right fielder Jameson Hart also had an impressive day for Futures-Navy, as he went 3-for-4 with an RBI single. Chris Robinson (Great Lake Canadians), a member of the Futures-Navy coaching staff said he was more than satisfied with his team’s overall performance. Robinson noted how the Futures-Navy players had to battle nerves, since they’re the youngest team in the tournament. Atlantic-Maroon managed to turn a triple play on a line drive to third base, thanks to Declan Buckle (Team New Brunswick), Adam Estey (Fredericton Royals) and Jeremie Arseneau (Prospects Baseball). Nathan Livingston (Nova Scotia Selects) went 2-for-3 with an RBI single for Atlantic-Maroon. Although BC-Orange blew a two-run lead in the top of the seventh inning, it seemed optimistic after the game. BC-Orange starter Josh Burgmann (Vauxhall Academy) pitched three scoreless innings, allowing two hits and two walks with five strikeouts. “I felt great. Going out on the field at the Rogers Centre for the first time was an awesome feeling,” Burgmann said. “My fastball command was a little shaky at first… I didn’t use my changeup as much as I wanted to. Carter Loewen (Abbotsford Cardinals) relieved Burgmann. Loewen had five strikeouts over three innings, while allowing one hit. Indigo Diaz (Coquitlam Reds) pitched the seventh inning for BC-Orange. Diaz surrendered two earned runs on two hits. Spencer Lindeman (North Shore Twins) went 1-for-3 for BC-Orange, with an RBI double and one run scored. For Alberta-Red, starting pitcher Dylan Gates (St. Albert) gave up only two earned runs on four hits. Gates was able to strike out three batters, while walking one. Bryce Fraser (Vauxhall Academy) relieved Gates in the fifth inning. Fraser tossed three scoreless frames and gave up only one hit. Quebec-Blue dominated the matchup, as it quickly jumped to a four-run lead in the top of the first inning, which was all it needed to beat Futures-Navy. A trio of pitchers from the Great Lake Canadians represented Futures-Navy: Tyler Whalen, Garner Spoljaric and Jonathan Burkhart. The three combined for eight strikeouts. Noah Naylor (Ontario Blue Jays) went 2-for-3 with a double, and Brett Corbeth (Great Lake Canadians) went 2-for-3 with a pair of singles. For Quebec-Blue, pitchers Vincent Beauregard (Montreal Orioles), Alex Simard (Charlesburg Comodore Condors) and Oscar Rodriguez (Montreal Orioles) combined for 10 strikeouts over seven innings. Quebec-Blue’s second baseman Eduoard Julien (Ailes de Quebec) went 2-for-4 with two singles and two runs scored. Quebec-Blue catcher Archer Brookman (Lachine A’s) went 1-for-3 with a clutch two-run double in the top of the first inning, giving his team an early 4-0 lead. Blue Jays alumni coach Lloyd Moseby was very happy with what he saw from Quebec-Blue. In a quick scoreless affair dominated by great pitching and defence, both Ontario teams were held to three combined hits. The game lasted about 75 minutes. For Ontario-Green, starting pitcher RJ Freure (Ontario Blue Jays) tossed five innings, giving up one hit and striking out six. In relief, lefty Matt Jones (Toronto Mets) collected three strikeouts over two innings. Both Cooper Davis (Ontario Blue Jays) and Adam Hall (Great Lake Canadians) each had two stolen bases. Ari Sechopoulos had the lone hit in the bottom of the second inning for Ontario-Black. Ontario-Black’s starting pitcher Mitchell Clark (Windsor Selects) pitched four innings, surrendering only hit with four strikeouts. Noah Skirrow came out to pitch in the fifth inning for Ontario-Black. Skirrow threw three innings, and he had six strikeouts. “The defence was making plays. It was probably one of the quickest games that I’ve ever been apart of,” Kemlo said. “[When the pitchers] get ahead and throw strikes, they’re going to be in control for the most part at this level. Cody Malloy is a contributor to MLB.com. This story was not subject to the approval of Major League Baseball or its clubs.